5/8" tall and 7/16" wide. 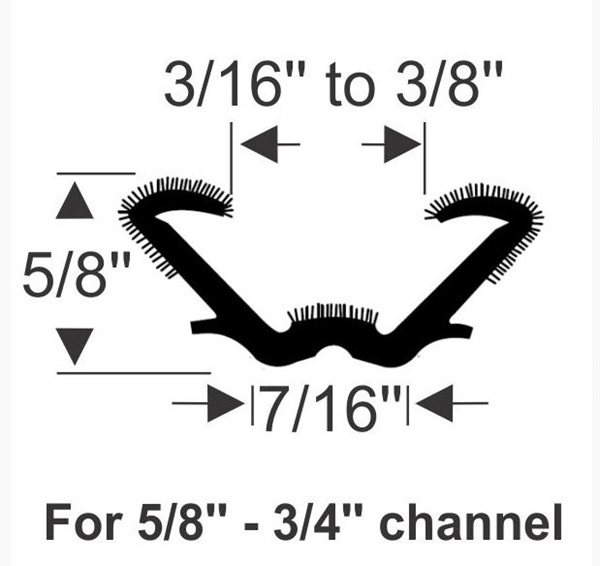 Designed for 5/8" - 3/4" channel. This product is sold in 96" strips.